The NBDC-supported national platform on land and water management has convened two meetings (in April and in December 2011). 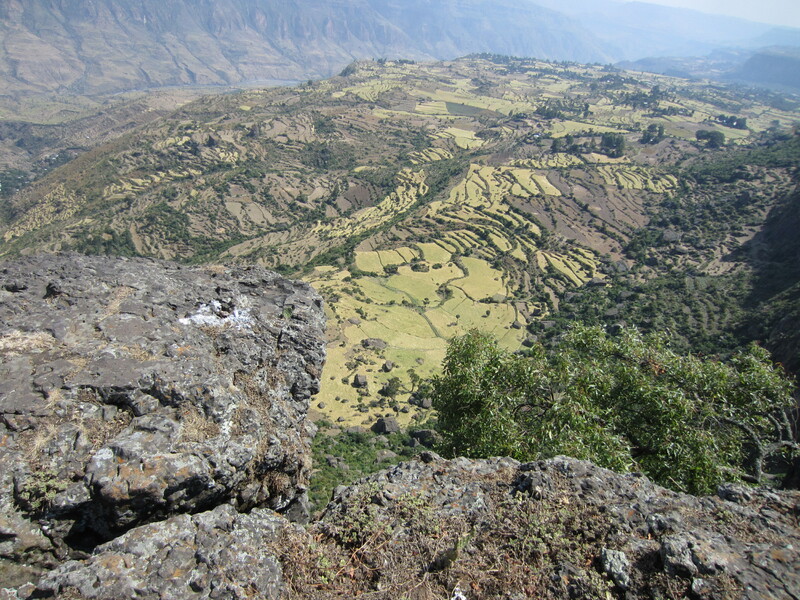 During the second meeting, it was agreed that the national platform should see to the establishment of thematic working groups that would flesh out a series of activities to fulfill the platform’s mission to ‘Ensure a healthy, sustainable, and equitable use and management of natural resources for improved productivity, livelihoods and ecosystem services in Ethiopia’. These thematic working groups are now formed and developing their agenda and activities. Resilient ecosystems and climate change. The second national platform meeting report introduced the original rationale and suggested some activities, members etc. for these working groups. In late June and mid-July, the four thematic working groups have gathered for the first time, under the auspices of a reputable chair. Each of the working groups has worked on a similar program for their first meeting: What is the rationale of this group, and desired outcomes? What specific issues will it focus on, how will it organize its activities to address this agenda? How will the group communicate, coordinate and document its work, how will it share it with other thematic working groups? What funding mechanisms could it tap into in order to develop additional activities? Notes of the thematic working groups are currently available on the innovation platforms page of the NBDC wiki (under ‘National platform and ThWG meetings’). What does hydrological modeling offer when analyzed together with human land and landscape interventions? Where does it lead and how practical can it be? This was the focus of a podcast on spatial analysis and modeling work undertaken mainly in the Nile Basin Development Challenge. As part of the Challenge Programme for Water and Food, Peter Casier interviewed Catherine Pfeifer, a post-doctoral scientist working for the International Livestock Research Institute (ILRI) and the International Water Management Institute (IWMI) in Addis Ababa, Ethiopia. In this podcast (3’42’’), Catherine explains that, as compared with Geographic Information Systems (GIS), spatial analysis and modeling (SAM) work does not limit itself to being a useful tool – it actually focuses on what is planned with the data collected and how to analyze it for what purpose. In addition, it is not just hydrological modeling but it works in combination with emergent understanding of how human systems define and shape their landscape and land interventions. The combination of biophysical and human perspectives adds the richness to the work of the SAM topic working group. In practice, this work can prove very useful for predicting the impact of a given landscape intervention to it hydrology. Pfeifer mentions the case of terraces where spatial analysis and modeling helps estimate how terraces might impact water flow and the potential benefits to the farmers in the future (improved productivity, reduced erosion etc.). 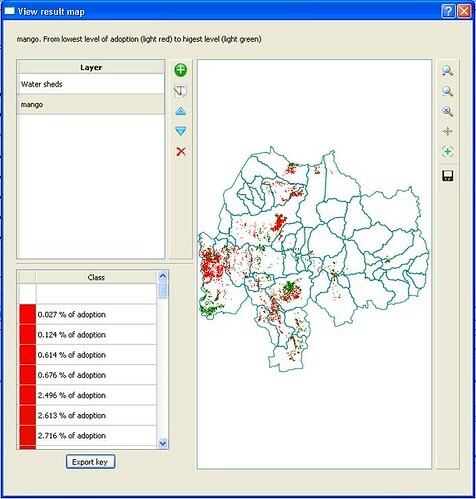 In other settings too, spatial analysis and modeling should help inform extension services and farmers about the potential benefits and drawbacks of different interventions for water and land management, placing the work of the CPWF SAM group at the centre of the rationale behind the Challenge Programme for Water and Food. One of the cross-basin exchange and learning tools used by the Challenge Program on Water and Food (CPWF) is ‘Topic Working Groups’ on different issues of interest to all the Basins. A new Topic Working Group has just been established on Modeling and Spatial Analysis, led by An Notenbaert (ILRI Nairobi) and Charlotte MacAlister (IWMI Addis). Many modelers and spatial analysts engaged in the Mekong, Ganges, Andes, Volta, Limpopo and Nile basins are grappling with similar issues: how do we get hold of and share quality information, how do we integrate bio-physical and socio-economic data, what are the best methods to fill data gaps and move across scales, how do we link different models and build feed-back loops…? Informal discussions and ad-hoc data exchange have already added value to the development of conceptual frameworks and the initial implementation of basin level analyses. With a little extra effort and resources, these issues could be taken to the next level. We want to continue to share information, compare methods, examine and critically appraise each other’s work. We therefore propose to establish a Topic Working Group focusing on biophysical and spatial modeling. The Group will kick-off with a meeting later this year in the Blue Nile. We envision an initial field visit followed by in-depth cross-basin discussions on issues of common interest, possibly with input from invited experts from our wider research and development networks. In this first get together we’ll focus on hydrological models, optimization and spatial analysis. Whilst we don’t intend to streamline approaches across basins, we hope to cross-fertilize and learn from each others’ varied experiences in the different basin contexts.